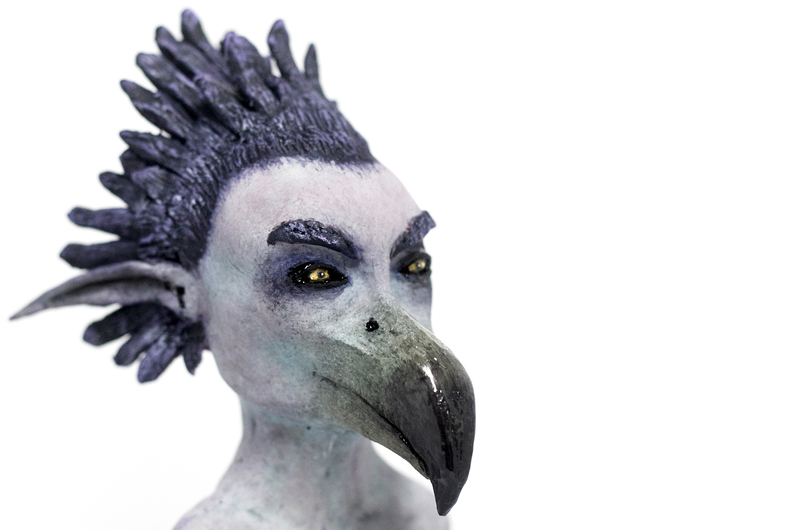 We offer you the opportunity to join a unique and fascinating course delivered by Takara Dancy, freelance model maker and sculptor for numerous national companies and has a varied collection of skills including sculpting, CAD modelling, 3D printing, moulding and casting. The course offers you the opportunity to discover many aspects of basic creature design and maquette fabrication, it will take you down an interesting and immersive route helping to introduce and improve your skills as an independent thinker and designer. Takara will use her unrivalled technical skills and industry knowledge, to take you through a series of intense but light-hearted evening classes introducing the whole process from design to realisation. The course will be interspersed with thought provoking talks on the history of creature design and the use of our world as inspiration, which will help you to develop and gain valuable industry insight. Your tutor will give demonstrations into armature making, blocking out your sculpture, posing your creature, painting and many other techniques. Alongside these demonstrations you will begin to develop your own designs, supervised by Takara Dancy you will have on the spot guidance in all areas of the process. To provide an in-depth understanding of the specialist materials and processes involved in the creation of creature design, development and completion. There are no academic entry requirements, however a keen interest fantasy creature and special effects is desired.